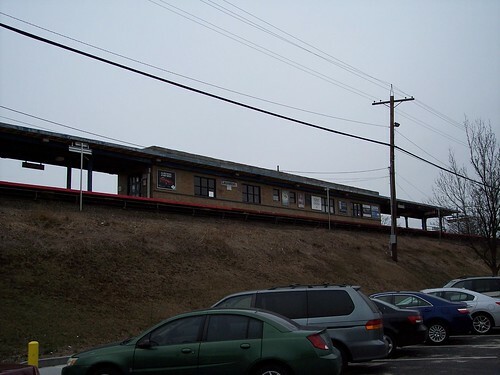 The Laurelton station sits above the parking lot on an embankment. 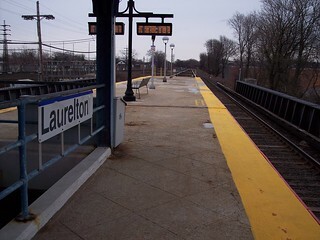 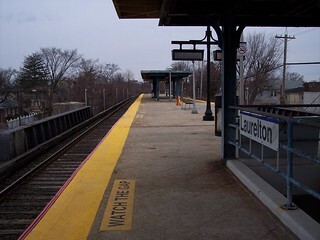 The platform at the Laurelton station. 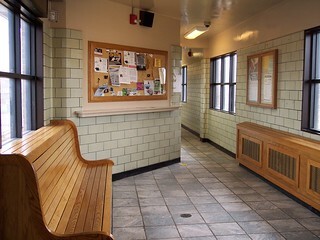 Inside the waiting room at Laurelton.